« 2nd Call for Papers: Link-VGI Workshop @ AGILE Helsinki in June; Deadline April 25th. Volunteered geographic information (VGI) projects, such as OpenStreetMap (OSM), provide an alternative way to produce geographic data. Research has showed that the resulting data in some areas are of decent quality, which guarantees their usability in various applications. Though these achievements are normally attributed to the huge heterogeneous community mainly consisting of amateurs, it is in fact a small percentage of major contributors who make nearly all contributions. In addition to their recent work on temporal analysis of contribution inequality in OpenStreetmap in an new paper, A. Yang et al. (2016) investigate the contributing behaviors of these contributors to deduce whether they are actually professionals. Various indicators are used to depict the behaviors on three themes: practice, skill and motivation, aiming to identify solid evidence for expertise. The case studies show that most major contributors in Germany, France and the United Kingdom are hardly amateurs, but are professionals instead. These contributors have rich experiences on geographical data editing, have a decent grasp of professional software and work on the project with enthusiasm and concentration. It is less unexpected that they can create geographic data of high quality. Three features distinguish this work from previous efforts. Firstly, there is a focus on major contributors, so the results can illustrate whether most OSM data come from professionals well. Secondly, they deliberately discuss expertise and use various guidelines to ensure inferential strength. Finally, though some classical indicators, such as total contributions and longevity, are still used in the work, more innovative indicators to depict expertise from various aspects are being introduced. The approach provides a possible way to examine the expertise of contributors when direct knowledge of individuals is not available, which usually is the case due to the anonymity of OSM users. The indicators introduced in this paper can also be useful for intrinsic OSM data quality analysis like Barron et al. 2013 or related work and recent frameworks. Data created by professional contributors should be more trusty and can be used as references to infer the quality of other data. Barron, C., Neis, P. & Zipf, A. 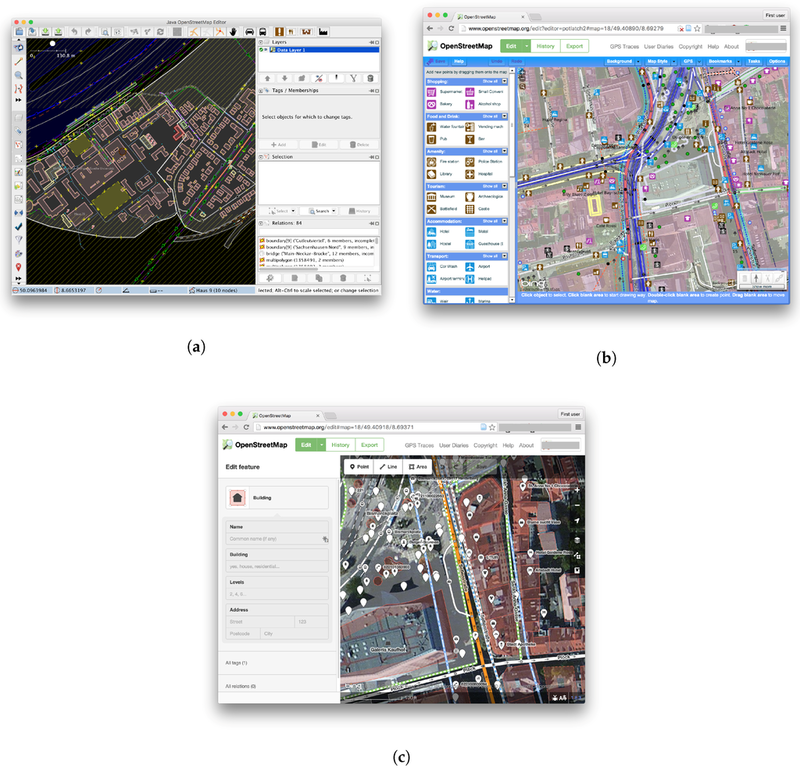 (2014): A Comprehensive Framework for Intrinsic OpenStreetMap Quality Analysis. Transactions in GIS, Volume 18, Issue 6, Pages: 877–895 Article first published online : 23 DEC 2013, DOI: 10.1111/tgis.12073. Jokar Arsanjani, J., Mooney, P., Helbich, M., Zipf, A., (2015): An exploration of future patterns of the contributions to OpenStreetMap and development of a Contribution Index, Transactions in GIS, Volume 19, Issue 6, Pages: 896–914. DOI: 10.1111/tgis.12139.